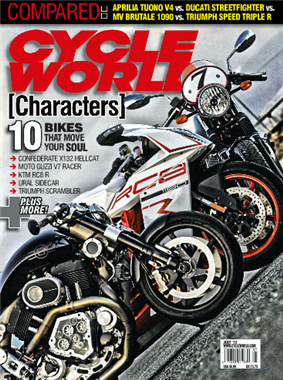 Cycle World is a motorcycling magazine in the United States. It was founded in 1962 by Joe Parkhurst, who was inducted to the Motorcycle Hall of Fame as, "the person responsible for bringing a new era of objective journalism" to the US. 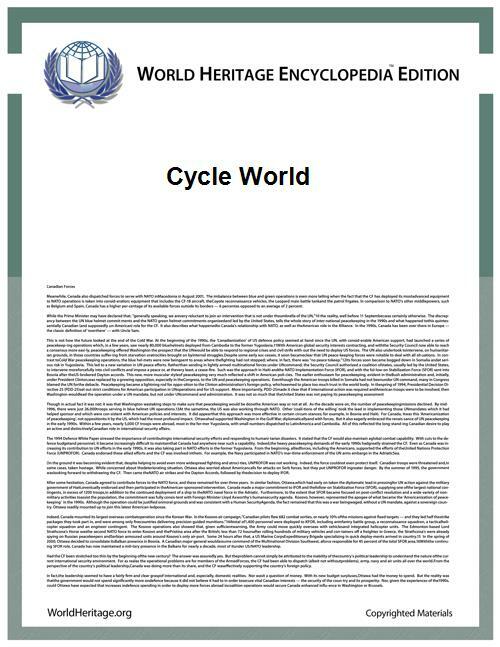 As of 2001 Cycle World was the largest motorcycling magazine in the world. The magazine is headquartered in Newport Beach, California. Regular contributors include Peter Egan. Occasional contributors have included Hunter S. Thompson. Parkhurst sold Cycle World to CBS in 1971. CBS executive Peter G. Diamandis and his associates bought CBS Magazines from CBS in 1987, forming Diamandis Communications, which was acquired by Hachette Magazines the following year, 1988. In 2011, Hachette sold the magazine to Hearst Corporation, which in turn sold Cycle World to Bonnier Corporation the same year.